Jesus Christ is going to return to earth and set up His Kingdom. He will rule the entire world from Jerusalem, and those who are His children from all ages will rule and reign with Him for 1000 years. The Word of God is very explicit that the vehicle by which Jesus will establish His Kingdom is not the Church; but rather, the Nation of Israel. The theme behind all of Scripture is the re-establishment of the global theocracy lost in the Garden of Eden and rule of the theocratic administrator the Messiah. 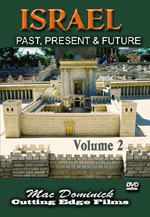 It is this storyline that will be portrayed in the 2-DVD presentation, Israel: Past, Present, & Future. This DVD 1 will begin in the Garden of Eden and establish the baseline of the study. The course will then progress through the Abrahamic Covenant, Biblical Israel, the Fall of Jerusalem, and the Diaspora. 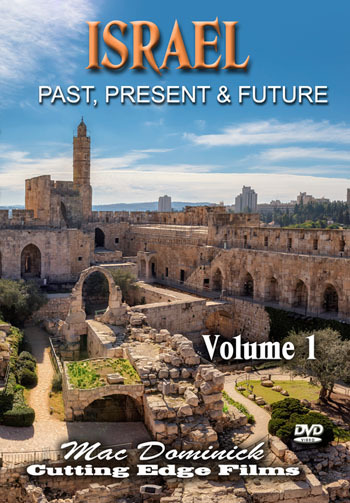 The study will concentrate on the time span with which most Christians are least familiar: the period from 70AD and the Destruction of Jerusalem up to 1948 and the establishment of the modern State of Israel. The study will proclaim the miracle that is the modern State of Israel and how by the power of Almighty God a nation that disappeared from the face of the earth was re-established. DVD 1 will follow the storyline of the Bible that the large majority Church of the first 1900 years after Christ failed to recognize. The goal will be to establish these truths in a manner that will change the viewers perspective of the Jewish State and instill in the modern-day believer a doctrine of support for Israel to the point that we may be numbered among those that the Abrahamic Covenant promises unconditionally to bless.